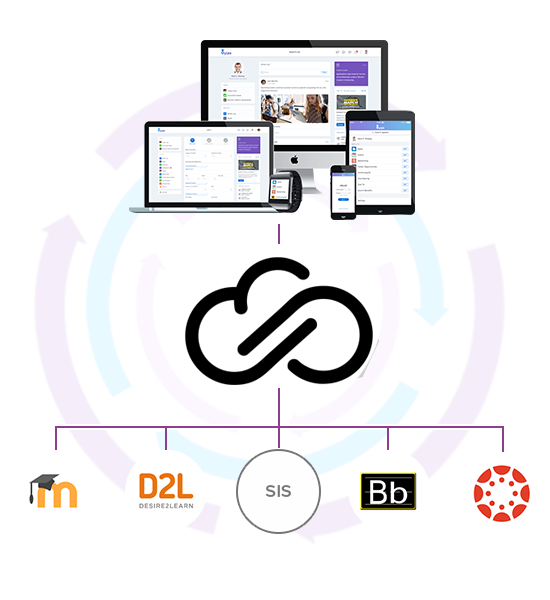 Unifyed Integrates with leading Learning Management Systems. Campus Apps that are designed to enhance learning and quality of life on campus cannot work in isolation. They would need to access and update student profiles, registrations, activities and engagement on campus as needed in order to deliver a relevant and satisfying experience to students. Towards achieving this, apps would need to seamlessly integrate with other student information systems and learning management systems. Platform can integrate with with Moodle®, D2L®, Blackboard®, and Canvas® respectively.